KINGSPORT, Tenn., April 9, 2019 - Eastman is proud to announce that it received the 2019 ENERGY STAR® Partner of the Year Sustained Excellence Award for continued leadership and superior contributions to ENERGY STAR. This marks Eastman's eighth ENERGY STAR Partner of the Year Award and sixth Sustained Excellence recognition. "I'm incredibly proud of how the Eastman team continues to embrace our purpose of enhancing the quality of life in a material way," said Mark Costa, Eastman Board Chair and CEO. "We are not only committed to producing superior materials for the products consumers use daily, but also to operating our facilities responsibly and efficiently and to developing innovative, sustainable solutions for some of the world's most complex challenges." The ENERGY STAR recognition comes on the heels of Eastman's recent announcements to pursue two innovative recycling technologies to address the global plastic waste problem - advanced circular recycling and carbon renewal technology. Today's announcement underscores the company's commitment to a holistic sustainability strategy that centers on creating more value than the resources we use. "The world needs innovation, and Eastman is excited about the possibilities we can achieve by working along the value chain, across industry sectors and with partners like ENERGY STAR to expand our efforts and make the greatest collective impact," said David A. Golden, Senior Vice President, Chief Legal & Sustainability Officer, and Corporate Secretary. "We recognize that today's performance isn't sufficient for tomorrow's demands and today's resources won't sustain us if we don't do something differently now to change the trajectory for the future." 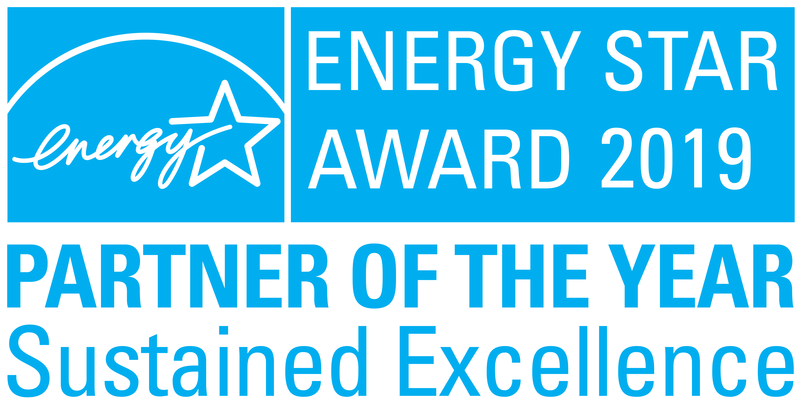 The highest honor among ENERGY STAR Awards is the ENERGY STAR Partner of the Year-Sustained Excellence Award. EPA presents the Sustained Excellence Award to partners that have already received ENERGY STAR Partner of the Year recognition for a minimum of two consecutive years and have gone above and beyond the criteria needed to qualify for recognition. Winners hail from small, family-owned businesses to Fortune 500 organizations - representing energy-efficient products, services, new homes, and buildings in the commercial, industrial, and public sectors. Mentoring numerous ENERGY STAR industrial partners by sharing energy management best practices to enable these businesses to excel and sharing the benefits and resources of ENERGY STAR with various audiences, including employees, customers, investors and community partners. Eastman's accomplishments will be recognized by the U.S. Environmental Protection Agency and the U.S. Department of Energy at a ceremony in Washington, D.C. on April 11, 2019. For a complete list of 2019 winners and more information about ENERGY STAR's awards program, visit energystar.gov/awardwinners. Eastman is a global specialty materials company that produces a broad range of products found in items people use every day. With the purpose of enhancing the quality of life in a material way, Eastman works with customers to deliver innovative products and solutions while maintaining a commitment to safety and sustainability. The company's innovation-driven growth model takes advantage of world-class technology platforms, deep customer engagement, and differentiated application development to grow its leading positions in attractive end-markets such as transportation, building and construction, and consumables. As a globally inclusive and diverse company, Eastman employs approximately 14,500 people around the world and serves customers in more than 100 countries. The company had 2018 revenues of approximately $10 billion and is headquartered in Kingsport, Tennessee, USA. For more information, visit www.eastman.com. ENERGY STAR® is the government-backed symbol for energy efficiency, providing simple, credible, and unbiased information that consumers and businesses rely on to make well-informed decisions. Thousands of industrial, commercial, utility, state, and local organizations-including more than 40 percent of the Fortune 500®-rely on their partnership with the U.S. Environmental Protection Agency (EPA) to deliver cost-saving energy efficiency solutions. Since 1992, ENERGY STAR and its partners helped save American families and businesses nearly 4 trillion kilowatt-hours of electricity and achieve over 3 billion metric tons of greenhouse gas reductions. In 2017 alone, ENERGY STAR and its partners helped Americans avoid $30 billion in energy costs. More background information about ENERGY STAR can be found at: energystar.gov/about and energystar.gov/numbers.